What set’s a Legendary fighter apart from a good fighter, or even the average guy? It’s not necessarily more talent, although it helps. It ain’t a head start in life, that’s for sure. It’s a combination of hunger and a will to succeed, as well as some Legendary training. Even in fictional character’s like Rocky, it was his training that pushed him to beat more talented guys like Apollo Creed and physically superior guys like Ivan Drago or even Mason Dixon. 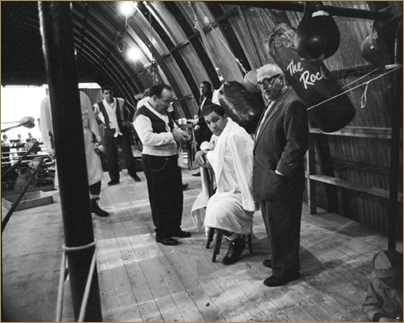 Rocky Marciano had read that Joe Louis – probably the greatest heavyweight of all time – ran 6 miles a day. Rocky, knowing that he didn’t have the talent that Joe possessed, figured he had to run double that. And he did. He also went on to knockout his hero, albeit Joe was in the midst of a comeback and far from his prime. Marciano is a Legend because of his heart. As are Arturo Gatti and Mickey Ward. Guys who didn’t have the most talent in the world, but who’s heart couldn’t be matched. Marvin Haggler, James Braddock, and the recently deceased Smokin’ Joe Frazier are also Legends who didn’t have the talent that other’s had, but achieved greatness due to their heart, work ethic, and hunger. By showing me what pain really was. A year or so into my brief career I really began to figure out what I was doing with my training. I had some of the best workouts of my life during that span. Not only because the stuff I was doing was great, intense, and even fun, but because I was training for a fight. I was training for something that created urgency and brought intensity into every workout, set, and rep I did. I walked into that boxing gym on a sweltering summer day because, yes, I loved the sport, and it had always intrigued me. But also because of the Legends I mentioned above. The respect I had for who they are and how they fought. And even because of the training montage’s in the Rocky movies, it’s hard to find something more inspiring than that. If I could train like that I knew something great would happen, and it did. Before boxing, bodybuilding was my primary focus with regards to training, because that’s all I knew. As you probably know by now, the results didn’t come. 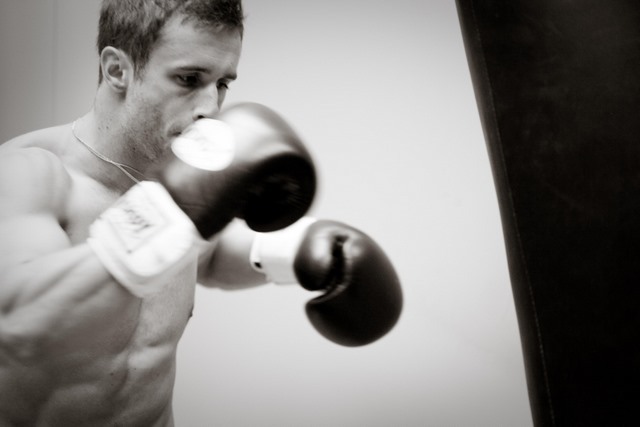 When I started boxing, the out-of-the-ring training was completely bodyweight exercises and workouts that left me feeling tired, weak and drained. As I mentioned earlier, my experimentation with different training methods began to pay off with muscle gains, fats loss, and dramatic improvements to me speed, power, and overall athleticism. My endurance actually improved dramatically as well. Which was weird because I almost completely cut out long runs and traditional endurance training. With the help of a trainer at the gym I was now working with, we developed some pretty awesome sets that combined powerlifting with circuit training. The goal was to build power that lasted, so we created some pretty unique sets. One of which was 24’s. The trainer that I was lucky enough to come across showed me these kinds of sets that he used with his pro football clients. We made some tweaks to the exercises and created some pretty awesome workouts that helped me get a lot stronger, much more powerful, and led to me knocking out my next two opponents. I recently saw the Terry Crews video (a few weeks ago), and started getting back into the training I was doing at around that one-year mark of my fighting career. And the workouts have been amazing. Check out the video I posted below. It’s a set that you can incorporate into any workout. You can also mix and match the exercises, but keep the same structure to the set, and make sure you’re lifting a heavy weight that’ll almost get you to fail at 6 reps.
Use a weighted vest if you have access to one. It can turn easier bodyweight training into much harder, more challenging exercises. Sign up here for more tips on how to get in Legendary condition.